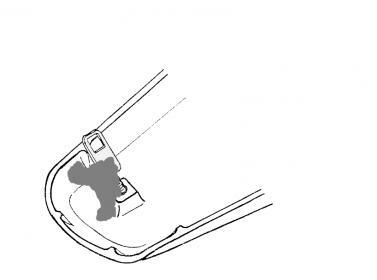 In order to utilize the stock seat latch on the bike, the Targa seat cowl for the F4i uses a metal plate with a hole in it (see number 7 on the attached figure). This plate works great to keep the cowl down but does nothing to hold it up and keep it from sliding forward and down. My solution was to go to home depot and buy two tubes of J-B WELD SteelStik (any steel reinforced epoxy putty such as Quik Steel will work too). First make sure you have the metal mounting plate adjusted properly. 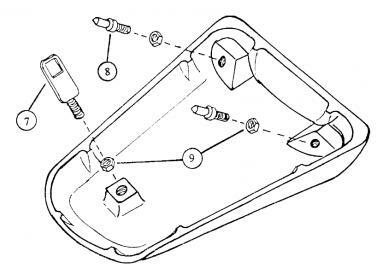 Take a can of WD-40 or any other lubricant and apply a thin coat to the horizontal subframe bar that runs left-to-right to which the stock seat latch is mounted. Take both tubes of putty (all of it) and work them into a homogenous ball per the included instructions. Now, stick the putty to the back edge (toward the rear of the bike) of the Targa mounting plate. Mold the putty to wrap around the plate a little bit, making sure to keep the putty well above the hole in the plate. I also molded the clay all the way to the seat cowl itself for a little extra support. Next, mold the clay closest to the hole out and back from the mounting plate, forming a kind of hook. This will sit on top of the bar you sprayed with WD40. Install the seat cowl and wait for the putty to dry. That's it! I need the targa cowl mounting brackets..